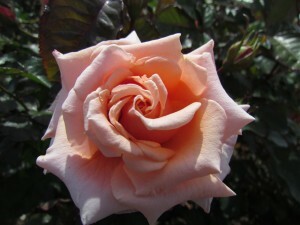 Deep salmon buds open to fragrant pinkish blooms which age to deep apricot. This floriferous floribunda produces multiple stems, which will keep flowering all summer. The perfect gift for that special person. 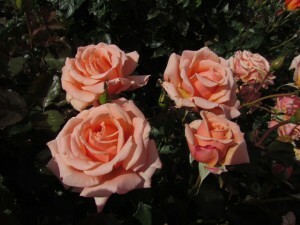 Deep salmon buds open to fragrant pinkish blooms which age to deep apricot. This floriferous floribunda produces multiple stems, each bearing up to ten blooms and will keep going all summer long. Foliage when young is bronze, maturing to glossy green with good disease-resistance. Height to 100cm. Bred by Edward Smith Roses.